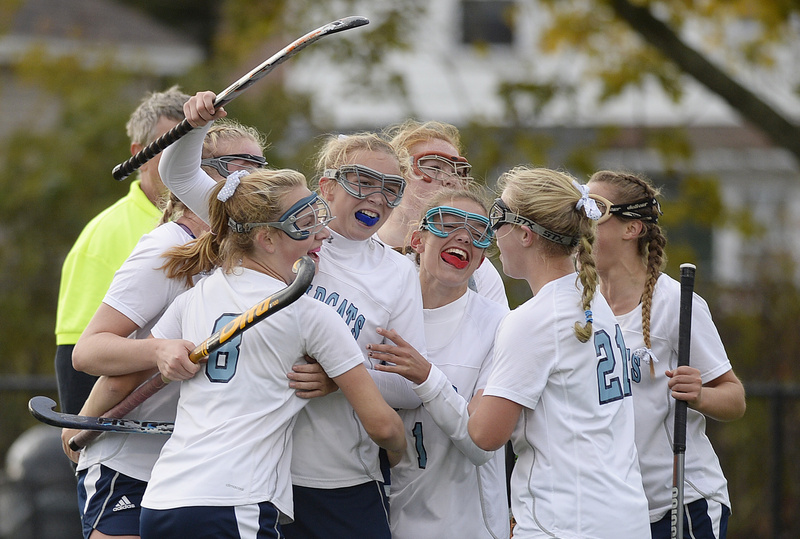 York players swarm Sage Works, with stick raised, after Works scored the game's only goal in the Class B South final Wednesday against Freeport. 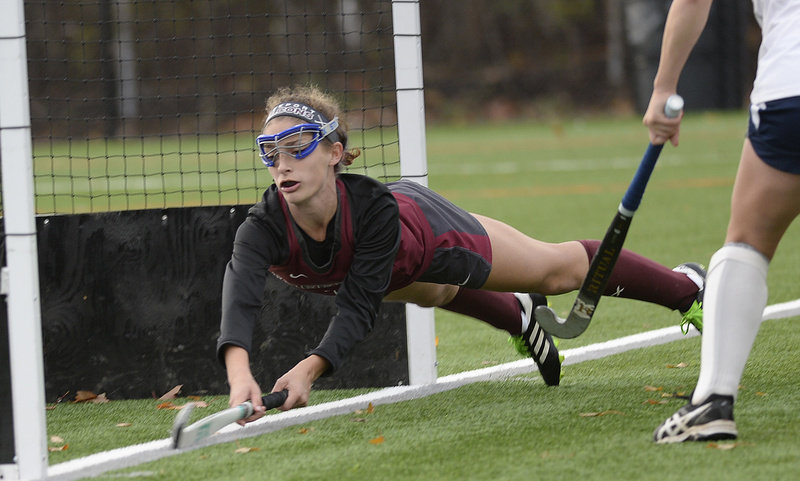 Freeport's Rachel Harmon makes a diving attempt to stop York's goal. 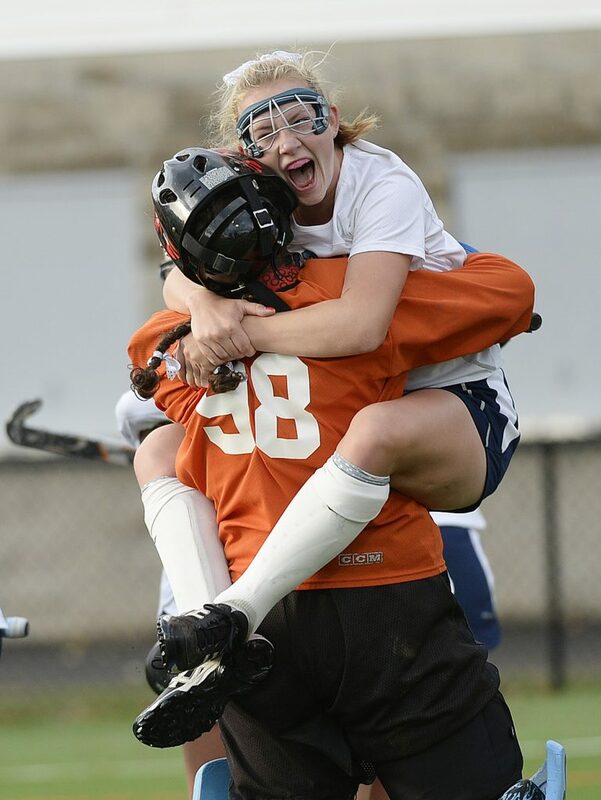 York's Bailey Oliver jumps into the arms of goalie Julianna Kiklis at the end of tWednesday's game.  York won its sixth straight regional title. 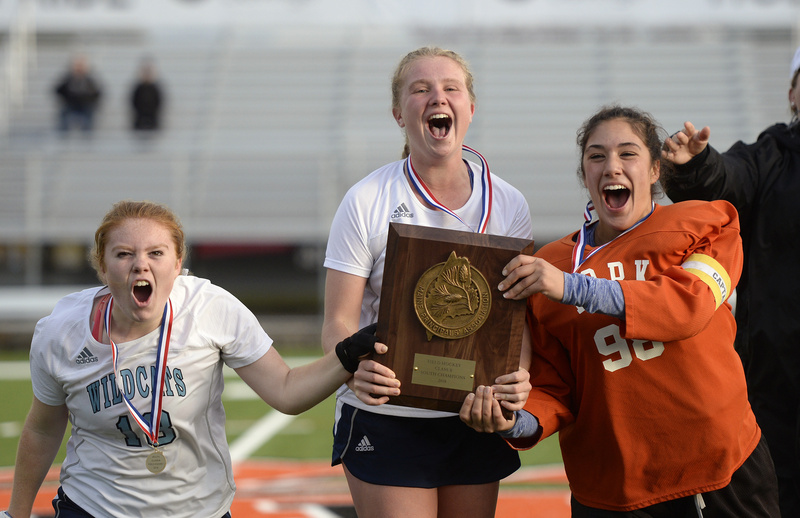 York captains celebrate with the trophy: L to R are Katherine Donovan, Emlyn Patry and Julianna Kiklis. 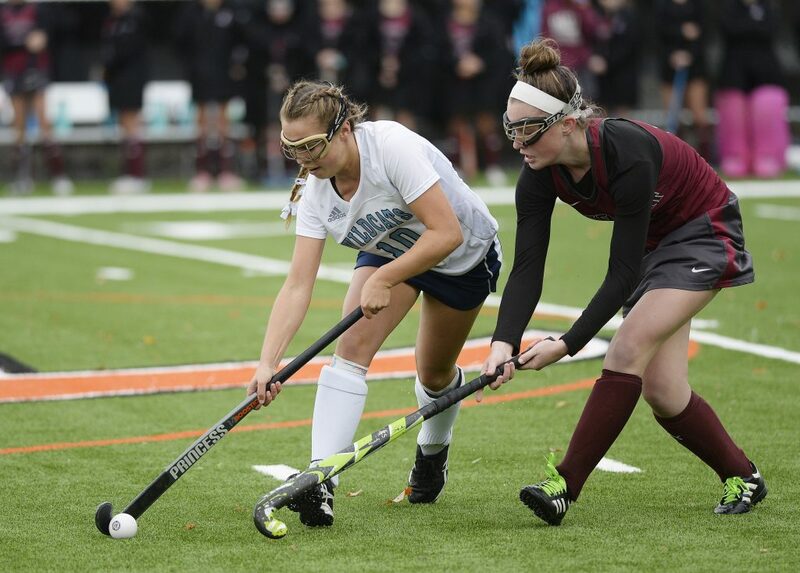 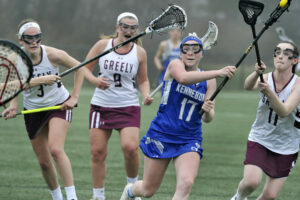 Freeport's Brooke Toothaker tries to stop Ashley Carney of York. 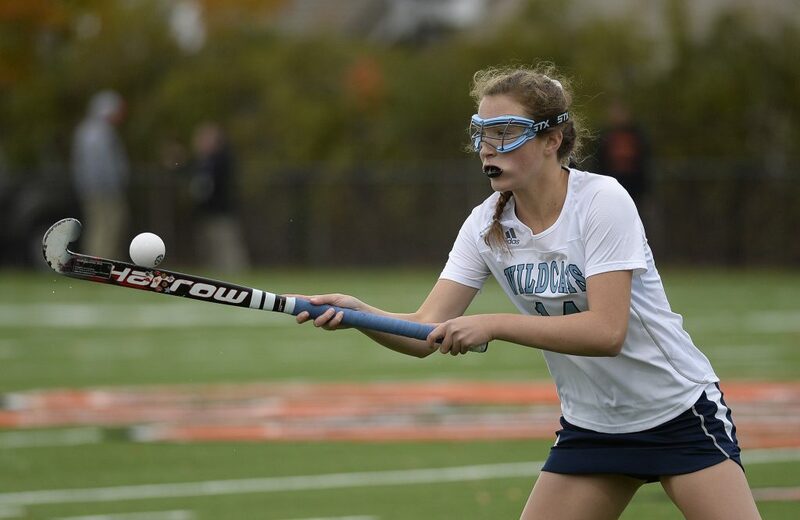 York's Sophia Ruland tries to stop a high ball sent downfield by Freeport. 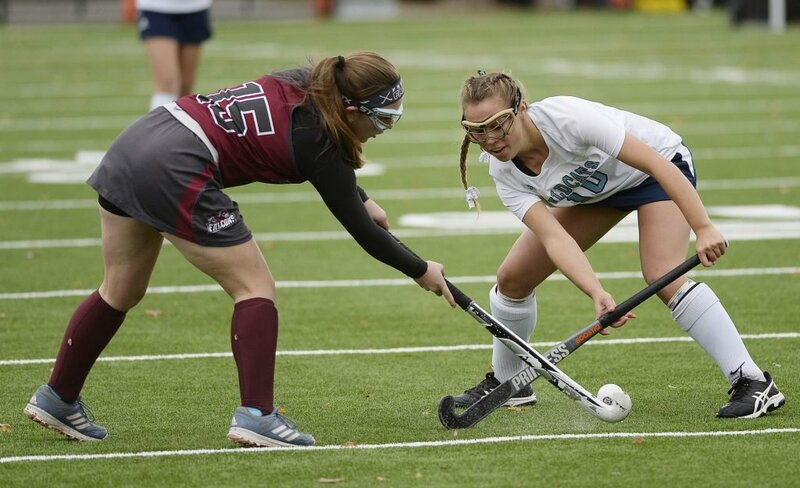 York's Ashley Carney drives with the ball as Freeport's Allyson Randall moves in on defense.